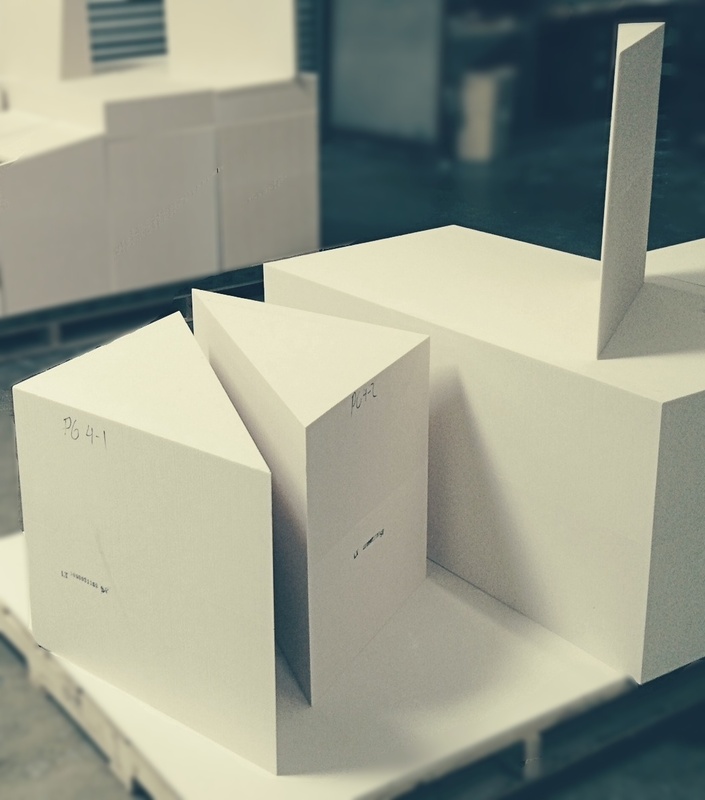 Have you considered the benefits of using Precision Board HDU to make a dimensional LED sign? 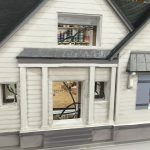 According to Xpressive graphiX in Zanesville, Ohio, the advantage of using HDU over a metal cabinet is that you can add textures and 3D elements and get a lot more creative. To get design tips and learn more, we talked to buisiness partners David Mattingly and Tony Rose. Their company has designed and fabricated some award-winning illuminated signs using Precision Board HDU and LED components. 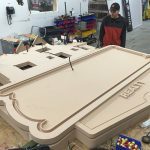 In Part 1 last month, Tony told us about fabricating LED signs for a pizza joint. 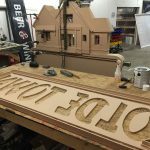 In Part 2 he tells us about designing an eye-catching sign for a real estate agency using Precision Board and LED lighting. 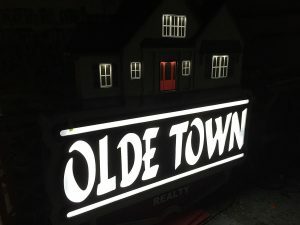 Olde Town Realty is a business located on the main street in town. 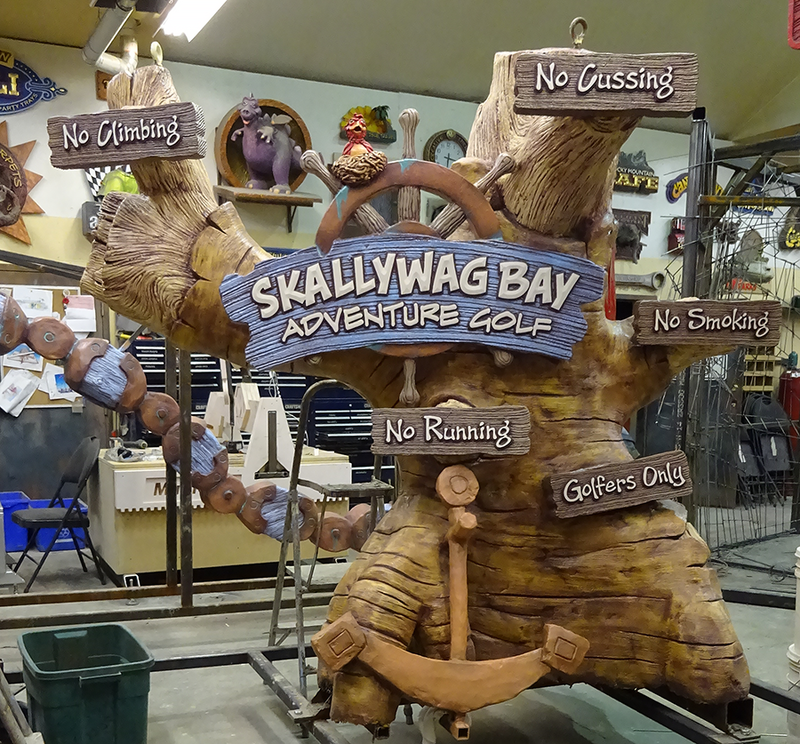 They asked Xpressive graphiX to make them an attention-getting sign. 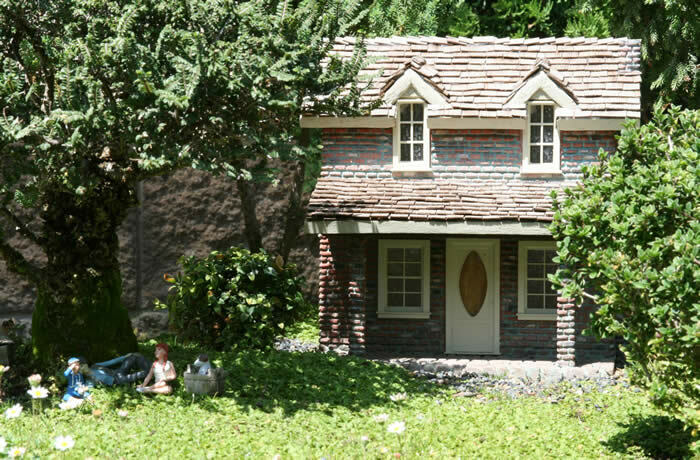 Tony incorporated their existing logo into the bottom half of the sign and then carved a three dimensional house into the top half. 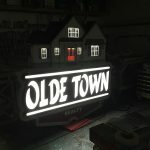 He added LED to the sign, making the windows in the house and the company name all light up. Tony cut two pieces of PBLT-18 and fit them together like a clamshell, leaving a two inch opening inside to make room for the LEDs. 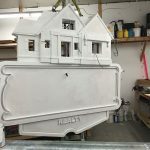 Using Precision Board HDU Tony was able to make parts of the house on top of the sign set back deeper, which added more character and depth. Xpressive graphiX glued the sign over a steel frame, ran the wiring inside and down to a box on the bottom of the poles. They embed their wiring, but make sure that connections can be reached for maintenance or in case something goes wrong. “One of the most critical things is access to the electrical,” says Tony Rose. 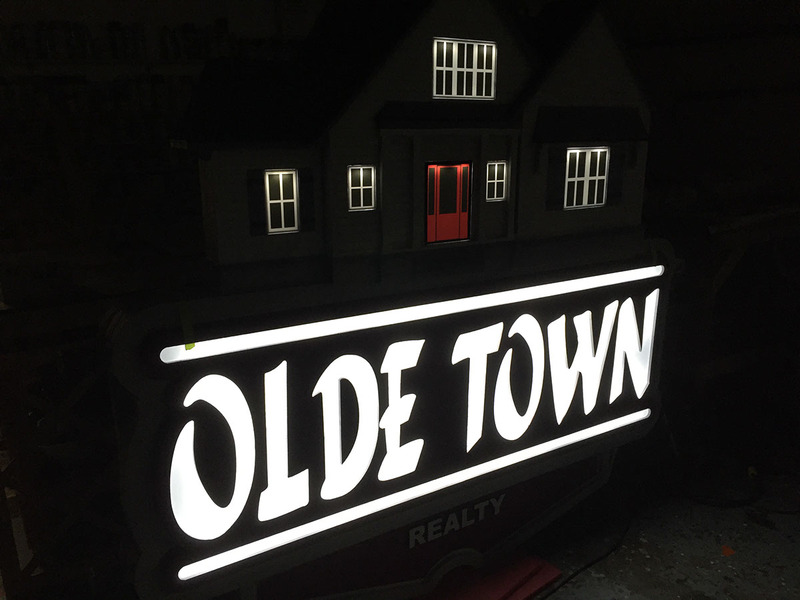 “Olde Town Realty is a traditional sign incorporating LED and electrical components that are still accessible if you need to get in there and fix them,” he added. 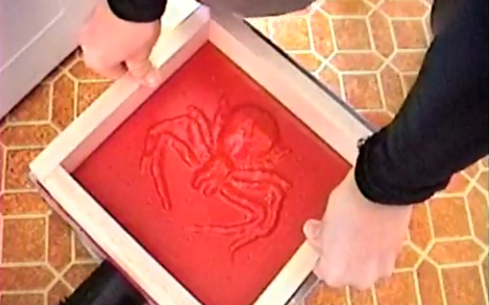 Tony and his team do great work and we couldn’t be more impressed. 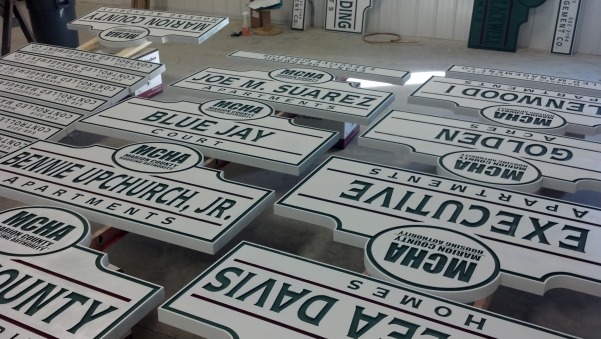 Xpressive graphiX is a full service sign company specializing in all aspects of strategic visual communication. 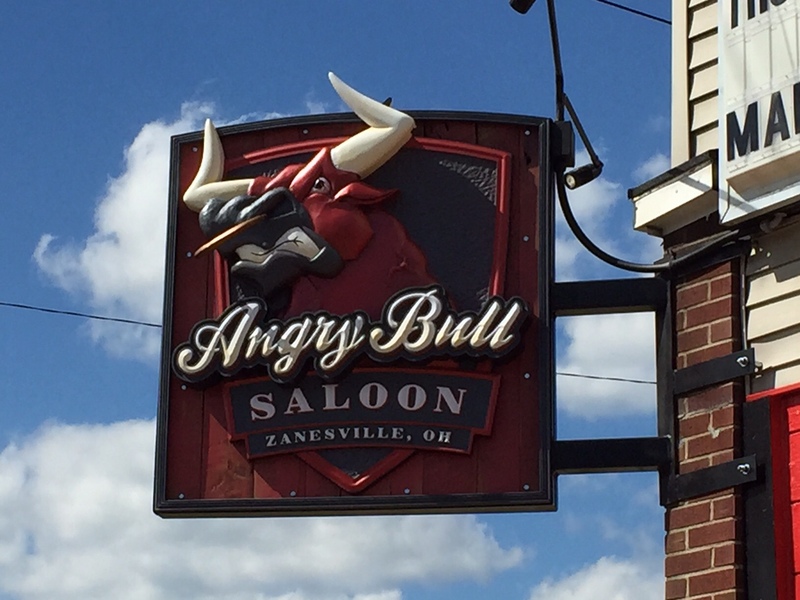 If you’re looking for creative dimensional signage using Precision Board HDU and LED lighting, give David and Tony a call at 740-452-6804 or visit their website at www.xpressivegraphix.com to see the other types of sign work they offer. You can read Part 1 of our Xpressive graphiX spotlight here.